We are very happy that this summer Cherven children's orphanage welcomed new friends. New friends are always great. 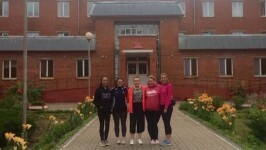 Keelin O'Sullivan shares her impressions about the week spent with the children in Cherven. And we in our turn say thanks a million for that wonderful time, love and help that the girls gave the children! "My experience in Cherven was more amazing than I could have ever imagined. From the moment I arrived until the evening I left I experienced pure happiness, love and fun. All units we visited were uniquely challenging but spending time with the different groups was so rewarding. After spending months planning and thinking about the trip I soon realised that all I really needed to do was be there with the children and young adults and have a good time. I absolutely adored spending time in the multisensory room with the children from units five and six. These younger children were mostly confined to wheelchairs even though we soon found out that many of them could walk. Seeing a child come out of a wheelchair and be able to walk around, run, jump and play is completely indescribable. Being able to give these children attention and love and seeing them be so happy, playful and childlike was wonderful. In the evenings we mostly stayed outside with the older units such as eight, nine and eleven. We spent hours face painting, drawing with chalk, dancing, playing tennis, football, Frisbee, and taking hundreds of pictures! Everyone loved having their picture taken and we were able to get photos developed and give them out which was really special. These groups also loved colouring and arts and crafts which we all did when it was raining or too late to be outside. One afternoon we took them to the cinema and for a disco. This was one of the highlights of my trip. Seeing all of them in their best clothes, so excited to be going out for an afternoon was so eye-opening. Something as simple as walking ten minutes into the town and going for a dance and a movie is so rare for these young adults that being able to take them was so incredible. We got everyone juice and some sweets which was also well received! Spending time with the girls from unit three was also great! They loved getting their nails and make up done. We all had so much fun with that. We also spent time doing arts and crafts with them! I was really glad that we got to visit unit one, which is a palliative care unit. While most of these children are bedbound it was nice to be able to give them some attention, even if it was just blowing bubbles or just sitting beside them. Although we were only there for a week, I was grateful that we were able to visit most units. My time in Cherven was so short but extremely rewarding. While I can’t deny that at times it was very difficult and sad, the happiness, fun and love were just overpowering and incredible. I hope to return to Cherven soon and spend much longer there. This trip wouldn’t have been possible without the amazing support all of us girls had for each other, being able to have a group of us was really beneficial and allowed us to be able to take more children to the multisensory room and be able to do more activities. It’s so difficult to capture how amazing this trip was, you need to experience the children of Cherven to understand how life changing it really is." Dear friends, WE NEED YOUR HELP!!!! After carrying out a simple contracture dissection operation on the gluteal muscles, that the doctors in Minsk did improperly, Elya URGENTLY REQUIRES MULTIPLE multistage complex operations on the hip joint and pelvis. If the child is not treated as soon as possible the consequences will be irreversible. She will have total spine, chest and pelvis deformation, and later - severe pain, lungs deformity that will lead to life on a ventilation unit. The child’s case is undertaken in Tel Aviv Sourasky Medical Center, the bill is provided for 2 surgeries!!! COST OF OPERATIONS is 63,000 dollars. 700-800 EURO for TRAVEL expenses, 3000 euro apartment rent - 3 days for inspection and 10 days after discharge from the hospital, 2000 euro for medications and unplanned expenses on clinic. We count on your support, prayers, kind words, information spread, and financial assistance. WITHOUT YOU WE CANNOT ACHIEVE THIS GOAL! A wonderful alchemical, magical thing happens when you visit the kids at the Gorodische Orphanage. It's a slow burn kind of magic, that builds steady over the week and ends with feeling completely enriched for spending time with these amazing kids. And this time was no different, Martina Collins, Jo Quinlan and myself headed to the Gorodische Orphanage for a week over the end of July and first week of June. We merged up with a fantastic group of University of Limerick students, and of course Laura Williams and Ruth Byrne -who are veteran volunteers. Seeing the many improvements made at the orphanage since the last trip was fantastic - in particular the new verandas and the new airbeds for the bed-bound group. Even meeting the new Mamas, who seemed genuinely happy to be with the kids, was just wonderful. The week was fully jam packed with events. We were treated to a wonderful artistic performance by many of the children which was inspired by the colours of summer. And since the weather was so lovely, we had a volley ball game using water balloons. A trip out to a small petting zoo brought many smiles and new experiences for both the kids and the volunteers, followed by a spin on some carnival rides, which created I'm sure many fond memories for the children. Moments of sadness are always present on trips like these, especially when noticing the absence of those kids who passed away over the year, or spending time with children whose health seems to be going down hill - it's a horrible feeling not being able to take someone's pain or discomfort away. Despite the sad moments, love and laughter are never too far away. Simple things like blowing bubbles, colouring and playing ball bring so much joy to these kids, and that joy is absolutely infectious. As always my favourite memories are those of spending time with the older children. Discos, football, puzzles, making bracelets and putting on temporary tattoos are activities we do with them and even though we struggle to communicate with one another, they still have the uncanny ability to climb into your heart - with in minutes! I never fail to leave theses kids without a stronger awareness of everything I take for granted and a greater sense of wonder and appreciation for their happy dispositions despite the challenges they face. They are like medicine for my soul and I'm grateful to each and every one of them. "We have inquired in foreign clinics for antibody therapy. And here we've got a bill from the Greifswald clinic (Germany) with the amount of 143,400 € for the treatment. Accordingly we plan her further treatment in Greifswald. It is much less than the amount claimed from the Israeli clinic! We are still asking you to support us with this brave project!" "My name is Asya. I am 23 years. I am a versatile person. I love to draw and do arts and crafts, I help saving cats and organize trips for disabled wheelchaired people to concerts of popular artists. I love traveling. And I also have a three-year daughter. My life would be completely normal if I were not confined to a wheelchair. Because of a vaccination done when I was 7 months I have high muscle tone (spasticity), which can only reduce by physical exercises, massage and horse riding. I can't walk, and take care of myself because of the spasticity. My family and friends help me with all my moves. Now I have a chance to significantly improve my condition. In the clinic "Adele" (Slovakia) they successfully treat people with this kind of disability, where good results are achieved not only children but also by adults. The course of treatment and accomodation cost 8920 euros. This amount is not high, but for me it's impossible to pay. That's why I'm asking you to help me fundraise the needed sum and make a big progress! I hope you can help me with it! Thanks a million in advance to all!!. " We thus ask everyone to support this beautiful girl! Thank you for every help! 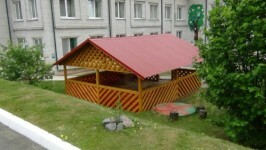 For quite a long time there were no volunteers to come to Cherven children's orphanage. But recently 2 sisters from Ireland came for a 4-week visit to the children. "With no previous experience of working with children with disabilities and qualified only in hugs and kisses we were extremely nervous about what was to come, but as always we took it in our stride and with big smiles on our faces we stepped into a place that we would soon come to love! Unit 6, a palliative care unit where the children have severe mental and physical disabilities with some children fed through nasogastric tubes was the first unit we visited. Although the prognosis for most of the children is not good, a simple walk around the grounds, a trip to the multi-sensory room or balloons and bubbles can really brighten up their day and bring life back into the unit. The moment a child smiles at you or uncontrollably laughs when you tickle them with a feather gives you goose bumps. It really is the small things that make such a difference. Another unit we worked in was Unit 5, made up of young children with mental and physical disabilities. Some can walk and some are confined to their wheelchairs. One particular boy Victor, has Downs syndrome and as a result, a heart defect. Just a couple of months ago, Pasha another boy with the same condition passed away as a result. Victor is the most intelligent little boy in Unit 5 and when you watch him the realisation that he is a ticking time bomb is extremely hard to swallow. We spent our mornings bringing all the children on walks around the grounds and bringing groups to the multi-sensory room both of which they loved. Unit 4, also known as the crazy walkers, are abled-bodied kids who have more severe mental disabilities. At the beginning we avoided this unit because the bad weather meant they were confined to their unit. However, once outside lots of the children enjoyed interacting. We spent time drawing with chalk, playing with balloons that kept bursting because of the heat, bubbles which wouldn’t work because they shook them and loud music for dancing. They loved it, we only wish we had had the opportunity to do it more often! Unit 3 was hands down our favourite unit. It is made up of older girls 15-25 with physical or mental disabilities. One major issue is that this unit is located on the third floor where the lifts have been broken for over a year and although now fixed have not yet been certified. The girls had not been outside in a year and a half. One of our favourite days was our picnic in the garden where we brought fifteen of the girls outside and sat under the trees listening to music, painting nails, applying stick-on tattoos and eating sweets, chocolate, and crisps for hours. The happiness of finally leaving their unit was palpable and the effort of carrying the girls in wheelchairs down a flight of stairs rapidly disappeared. We spent hours upon hours colouring with the girls in their unit colouring over 300 pictures during our time there. The ‘older boys and girls’ were another group that we loved to spend time with, they were Units 8, 9 and 11, able-bodied with slight mental disabilities. We spent hours and hours outside playing tennis, table-tennis, bubbles, chalk, Frisbee, and the cone game. One of the nicest things about this group was their ability to share and play with each other. We brought them to the cinema and had a disco for them, where there were games for them to play too. We soon realised that they may like dancing but there is nothing they love more than to play games where there are chocolate coins at stake. We were also able to do an arts and crafts session with the older girls where we made a poster of all their hand-prints not to mention the thousands of stickers then used to decorate their names that we had written out for them. We also had the opportunity to have tea and biscuits in Unit 8. As with most of the activities we pre-organised there was no water to actually make tea, although it did come back after an hour. As two Irish girls we were more than willing to drink tea allowing the boys to show us their photos albums, drawings and their prized possessions. There are no words that can truly describe what it is like in Cherven orphanage. There are no words to describe the feeling when you interact with the kids. Such small things like bringing a child for a walk or playing music or buying ice-cream can really bring such happiness. Many hailed us a ‘brilliant’ ‘super’ and ‘amazing’ for giving up our time to volunteer in Cherven and yes it is emotionally draining, physically exhausting and at times heart wrenchingly sad, but every single second is worth it! The truth be told it is the most worthwhile, rewarding experience we have had yet! We are pleased to share the news of Sophia Markevich! 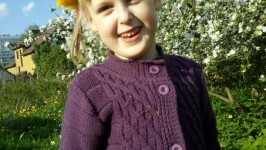 The girl is making a good progress, but she needs your support once again. "In December 2015 and April 2016 Sofia did a course of treatment in the neurological center" Prognoz ", St. Petersburg. After the two rehab courses in St. Petersburg, my daughter finally started speaking some words, building short sentences of three words. Although Sofia can not pronounce some letters yet, we're working on it. We hope to go on the next trip scheduled for September 30, 2016. The cost of the enxt course is 4,400 Belarusian rubles (44 million in old currency). So we ask for your help, as we are unable to pay for the treatment ourselves. Sonia has a good chance for recovery. So please, help us make a difference for our little angel. A huge thank you to all who will respond to our request. " Thanks a million to all and one! My name is Irina and I’m the mother of Listratenko Olga, from Cherikov, Mogilev region. I have never asked anyone for help before, but now I have no other choice. Our girl is already 14 years old. She has cerebral palsy, spastic diplegia. All these years we have been working hard to improve our daughter’s health, so that she could be more independent. This is our dream. Olya had a lot of the surgeries (11 in total) and I just not tell, how much pain and suffering she’s been through all these years. All Olya’s life is constant rehabilitation, operating, treatment, recovery. And we have invested all we had into it. And now we are out of funds, that’s why we need your support. We have recently returned from a trip to China Clinic for treatment and rehabilitation. And thank God, she made a huge progress: she strengthened back, neck muscles, learned to crawl, to walk without splints with a walker, to sit with straight legs. For us, these are Olympic achievements! But most importantly, the chief doctor of the clinic has encouraged us to come back to the clinic at the end of September 2016, to consolidate the improvements, because as the girl matures and there won’t be much time left to help her. The treatment will take 2 months and the cost is $ 8,000. We are asking all caring people to support us with anything! Every little helps and we'll be grateful for any amount you can contribute towards Olya’s better quality life!!! The banking details are in the album under the story! Amelia has s good rehabilitation potential, but we need your support as we cannot cover the cost of the rehab due to the poor financial situation as we constantly go on rehabs and all the money goes for it. For the rehabilitation in "Spring" center of St. Petersburg, we need 200 thousand Russian rubles (about $ 3,000) before the 4th of July. Diagnosis: The speech development disorder; dysarthria; mental retardation; Cerebral Palsy of average degree, Tonic-clonic form. Ira was born on 14.12.2007, at the 36 weeks of pregnancy term. The ultrasound at 35th week showed that the child had lack of oxygen. The doctors decided to induce labor, stimulated, and on the second day after stimulation our long-awaited girl was born! In the hospital everything was ok. But a month later we noticed that Ira was developing very poorly. For the next 2 months she didn’t show any singes of proper development, not even trying to hold her head up. The ultrasound of the head showed that Ira had hydrocephalic syndrome. So we started active treatment at home and in hospitals. At 6 months Ira began holding her head, 7 sounds appeared, she smiled at us, tried to pull the handles to sit down, as if everything was fixed. But at 8 months of age in the hospital Ira was given a large dose of diuretics and she got worse. Ira deteriorated to the level of a one month old child ... We went to the center "Mother and Child" in Minsk, and there Ira was literally put on her feet. Gradually she began to smile, then there appeared the first words. Since then our baby already had about 10 words: Mom, yum-yum, woof-woof (we had a dog) dad, uncle .... We were happy to hear every new word and continued to treat and strengthen her physically. At 1 year and 3 months we were on a regular course of treatment in a hospital, there Ira got ill with high fever, had some kind of infection (we do not know what it was). But having returned home, we noticed that she lost all her words, every day we were trying to remind them, but our girl was silent ... In 1 year 9 months she was diagnosed with CP. It was another terrible blow ... We knew that tears of sorrow wouldn’t not help. Again, we fought for the health of our girl. We were constantly undergoing treatments in different hospitals: injections, medications, physiotherapy, massage, exercise therapy, electrical treatments, laser, acupuncture, speech therapist, psychologist, music lessons, etc. ... But there was no response. She was on rehab courses in Minsk; St. Petersburg; Sanatorium "Belarus" in Druskininkai; 3"Dolphin" courses. The treatment gave results- Ira learned to walk, got stronger physically, began to understand more, but unfortunately, she is lagging behind in development and cannot speak. Those results we saw encouraged us and inspired to further action. For Ira to live without constant assistance, perform a simple self-care skills, communicate with others, we need to take the next step. And this step is stem cells (second implanting). We understand that without it we won’t be able to restore brain function, develop memory, attention, thought, speech. We ask you, our dear friends, PLEASE HELP US !!! We really want to see our Ira smart and independent!!!! We need to continue the treatment, but the family money is not enough for permanent treatment courses of our girl ... Please help us heal our baby! We won’t cope on our own ... Thank you to everyone who will respond and will not pass by our troubles! Belarussian rubles - charity account number 000053. US Dollars - charity account number 000075. Russian Rubles - charity account number 000019. 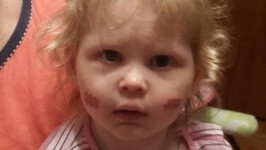 We are asking you to help save our child - 3-year-old daughter Ksenia. Like everyone else, we just lived, were happy and never thought we would have to seek help of strangers. Only your humanity and mercy is the only way to save our baby !!! My daughter was born on time, healthy and strong. She only had flues, all vaccinations are done on time. Cheerful, smiling, lively, sociable and very inquisitive, our girl was going to go to kindergarten. No signs of trouble, but one day Ksenia had pain in her leg, there was a slight limp, just a week after she was complaining of unbearable pain. We went to the emergency room, where she was diagnosed with a preliminary diagnosis - children's arthritis. We went for treatment in the 4th Children's Hospital in Minsk. A full examination on abdominal ultrasound revealed a tumor of the right adrenal. Then she was sent to the State Oncology Centre Borovlyany where on the August 14, 2015 Ksenia got terrible diagnosis - stage IV neuroblastoma of the right adrenal with metastases in the para-aortic lymph nodes and bone marrow. It was like a death sentence. CANCER. Our world collapsed in an instant ... How could this happen to a perfectly healthy, cheerful and always active child? Faced with such a grief, our life has changed dramatically, divided into "before" and "after." The meaning of our lives was to save her daughter, at any cost! Ksenia had 6 chemotherapy blocks for tumor removal operation, MIBG-therapy, high-dose chemotherapy with auto transplant of peripheral stem cells. The treatment gave a positive result, which confirms the conclusion of MIBG-scintigraphy, traversed 31.05.2016g. Our treatment approved in Belarus is almost completed. But in countries such as Germany, England, Israel and the United States for patients with positive dynamics in the underlying protocol treatment, antibody therapy, they have a practice, which helps the body to completely destroy single cancer cells, preventing the risk of recurrence, which is common for the disease. We contacted several foreign clinic for antibody therapy. Israeli hospital Schneider agreed to take us for the treatment. The total cost for treatment in the hospital is 355 700 $. We understand that it is an expensive treatment and we can’t cover it ourselves. But we must do everything possible to save her child !!! Therefore we ask you and ask you to provide any possible assistance and support the dreams of a little girl - just to live !!! Payment purpose: for treatment of Buynitskaya Ksenia. My name is Julia Nikolaevna Khristyuk. 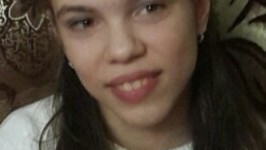 I am a mother of two children with disabilities – Polina and Maria. I will begin with the story of her eldest daughter Polina. Polina was born on 07.05.2009 prematurely - at 33 weeks with a weight of 2 kg. After a visit to the neurologist and several rehabilitation center "Tonus" she was diagnosed with: cerebral palsy, severe spastic hemiplegia in her upper limbs. At that time it seemed that Polina was sentenced for life and for all of us who are around her and loves her. Polina has been in the rehabilitation center in Brest for children with intellectual disorders "Tonus" and in other centers of Belarus since she was 4 months old. However, for the full recovery it was not enough. At the age of two years Polina does the first year of intensive neurophysiological rehabilitation at the International Clinic of Rehabilitation in Truskavts. Correction of the spine and a variety of procedures were carried out there: physio therapy, massage, light therapy, facial massage, reflexology, mobilizing exercises, Apitherapy, vibroekstenzor. After the first course Polina started turning around in different directions, crawling a little, muscle tone decreased, there appeared more words. Pauline was in that center four times. Today, Polina can crawl on their belly, sit on the floor, walk with support at both hands. She began to say simple words, simple sentences, but not always clear. Unfortunately, due to the strong spasticity in her upper limbs, Polina can’t not hold a spoon in her hand, and can’t eat independently, draw or write. My daughter is 7 years now. She is very smart and pretty. In March, May and December 2015 we went to Warsaw to the rehabilitation center "Olinek", where Polina was treated by method "Tomatis", as well as with a course of massage, exercise therapy. Two weeks ago we took Pauline to Tula for the tendon release operation. A month or two after the surgery it is necessary to continue active physio. Polina is scheduled for a rehabilitation course at the center of "Olinek" from August 8, 2016 and for a course of rehabilitation and social adaptation of the Institute of Conductive Education in Budapest on September 5, 2016. We have always paid for all rehabilitations and travel cost ourselves. And never complained. We know that there worse cases. In June 2014, we had twins, Alexander and Maria. Everyone was happy. However, it turned out that Masha got an intestine infection, and on the fifth day after birth Masha had her first operation and got a stoma in her belly. In intensive care in Brest Masha and I spent about one and a half months. Then in Minsk within three weeks she had complex operations on the intestine in the Republican surgery center. And then three long months in intensive care. But in spite of all the efforts, the problem is not solved. Masha was discharged from the hospital for a few months so that she could go home to meet the family and get prepared for the next operation. The first time Masha got home when she was almost 5 months. We were all very happy. Two months later, Masha had the last surgery and it was successful. We could not believe that it was over!!! But our joy was short-lived. We began to notice that Masha does not always respond to sounds. After all investigations Masha was diagnosed with hearing loss of the 4 degree on the right ear and the left ear - 2-3 degree. So far, none of the doctors can say for sure, why Masha lost her hearing. But all agree that the most likely numerous courses of antibiotics and led to the complications. We wanted to make an urgent operation on the establishment of a cochlear implant for her. Operation cost 26,500 Euro and 850 Euro Advance Diagnostics. The operation was scheduled for September 2015. And we got help !!! The necessary amount was collected in three months. Masha had surgery in September. We still have a long way to go with Masha, because the intensive care after surgery took so long. She will turn 2 in a few weeks time!! And now back to our older daughter to Pauline. After the operation, as I wrote above, we have planned several exchange rate rehabilitation. In "Olinek" they provide the therapy in a suit "Adeli" and hand therapy. The second course is scheduled for September, we had planned to go to the Institute of conductive Pete Pedagogy in Budapest, where children try to learn to adapt to the social environment. Unfortunately, rehabilitation and accommodation costs a lot of money. All our money spent on maintenance of the auditory processor and hearing aid youngest daughter. According to the latest rates the rehab in Olinek center is about $ 1,700 and $ 500 for accommodation. And in the course of the rehab institute Pete is 1200 Euro and 1100 Euro for accommodation. The returned flight to Budapest is about 15 million rubles. Please help raise funds for two rehabilitation center "Olinek" and the Pete Institute for our eldest little daughter Polina. Course in Warsaw is around US $ 2,200 and a course in Budapest is about 3000 Euro. 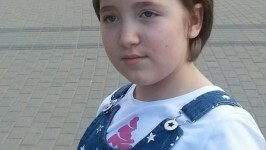 Payment purpose: fundraising for treatment of Khristyuk Polina. Great start of the volunteer summer season 2016 was put by our friends from Burren Chernobyl Project in Gorodische children's orphanage. Now kids from units 3,4 have their own verandas. Huge thanks to all who have contributed not only the funds, but the warmth of their hearts. And already this evening we're welcoming a new group from Ireland and are looking forward to some new interesting and touching moments! Born at the 30th week of pregnancy. For two weeks he was on artificial lung ventilation and ate through the tube. Having started breathing independently, Eugene was transferred to Children's Hospital, where he subsequently became worse – started having frequent apnea episodes. The child’s deteriorated sharply. Now Eugene is five years old. And for all five years we’ve been on constant treatment sessions, also taking expensive medications. We‘ve been on many rehab courses in "Mother and Child", centre "Turpentine", "Tonus" centre. Also were treated in the clinic Kozijavkin (Truskavets), in Lithuanian sanatorium "Belarus" and had two courses of rehabilitation in China (Funds “Planet of Good” and “Opeka”helped raise funds). Eugene fights for his health, he is a very strong, patient and grateful child. He has a good progress: started crawling, recently has started tolerating sitting for a short while (of course with support, but we are very happy). He has even started talking (saying mom, dad, baba, ded, go, aw-aw, yes, no). But now our main problem is Eugene’s hands, they are very tight. And without the help of the hands it is not possible to learn to crawl, sit, stand and then to walk. Hands play an important role in this process. After all, in life, every minute we make something with our hands, the whole future life requires precisely coordinated movements of hands and fingers such as dressing, eating, and performing a wide variety of everyday activities. Even sitting in a wheelchair a person can be socially adapted, if he can manage moving with their own hands. At the moment, all my focus is on rehabilitation in this direction! I'm doing everything possible to organize a proper treatment! But, unfortunately, I cannot pay for the treatment he needs. I'm officially caring for a disabled child, which I’m getting paid for, but the money is not enough of course. And I also have another child and no partner to share my responsibilities. The main part of the income is spent on treatment of Eugene. Currently he needed money for surgery to help to reduce tension in the muscles and relax them, and it costs 25,000 Russian rubles. And in September, we are expected to go to the rehab center for children with cerebral palsy (in Beijing), for the course of 2 months at the cost of $ 8500 (with the flight). For us it is a chance to teach Eugene to sit independently, and to start looking after himself. I kindly ask all caring people to participate in the fate of my child and help him have a better quality of life! With respect and hope for help Lagutko Diana! 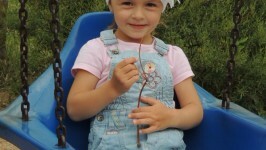 Charity accounts opened in №802 branch of OJSC "Belarusbank"
"Our Yanais 6 years old. Very slowly, but still she is developing thanks to daily work. But I would compare Yana’s development with the children’s mobile that parents hang over the babies’ cribs when it’s winded up, it goes round and sings, but gradually it runs out, and the music is getting slower and slower until it is stopped. Same story with Yana: good rehabilitation gives her a proper push to the development and our work with her. She learns well that it allows us to go on with our domestic classes that also give a greater feedback, but gradually, like a carousel, the "charge" comes to an end, and further work does not bring an adequate response. Therefore, she needs to go on the rehabilitation courses to give the child another push and the ability to further development and for us parents a way to communicate with specialists that suggest where we have to improve our work with the child. Thanks to all caring people we have been on rehabilitation with Jana in Russia and China. China has given us very good results: Yana started crawling on all fours, to say "yes" or "no" when asked, now our her communication is based on leading questions about what she would like or check educational methods that can be answered "yes" or "no." Yana began to ask going on a potty, mostly showing gestures, which is also very important for us. Now Yana can walk a little, holding to a stick, or with support at her pelvis. Now we would really like to have that rehab course done in the Polish intensive rehabilitation center "Olinek," where many Belarusian kids had good results in the development. Mainly due to the treatment by the method of Professor Tomatis many nonspeaking children begin to talk. Jana really wants to learn to speak, as the communication with "yes" and "no" level is not enough for her now, she gets very upset when trying to say something to us, but we do not understand. Regular sessions with a speech therapist has not given such an opportunity, she needs a push from the inside. The condition for treatment by the method of professor Tomatis is a block of at least 4 courses with an interval between the first and second course of no more than 4-6 weeks, so we ask all concerned people to support us and to get to the treatment center for intensive rehabilitation "Olinek." So that it becomes the push to wind up her little mobile and get her started on the proper speech. The estimated cost of the treatment of 8,500 euros. Million thanks to everyone in advance!!!"